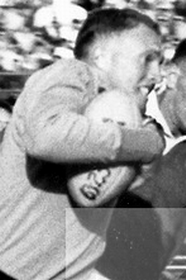 In 1965 Kerneels Cronje, who represented South Africa in the 220 yards hurdles but missed selection for the 1960 Olympics because of injury, toured Australasia with Dawie de Villiers’ Springboks. He played only a single practice match in the Springbok jersey against Western Australia’s B side. It was an unofficial match, and his name on the list of Springboks reflects that he has played no matches for the national team. After touring to New Zealand with the Springboks, Cronje was replaced by Eben Olivier when the doctor’s couldn’t diagnose his injury. He then decided to return home.